A spray for the raw texture look. 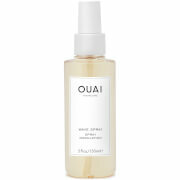 A medium hold bodifying salt enhanced texture spray to give dull hair extra body and texture. Not only does it provide protection from UV damage is also has Provitamin B5 which strengthens and conditions the hair. Leaving the hair with a Mango and Coconut fragrance is contains hard setting polymers to give a crisp finish and anti-humidity ingredients to maximise, flexibility and hold. 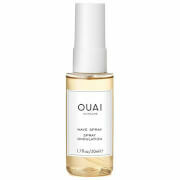 Spray lightly onto dry hair at the root area to refresh style and add body.